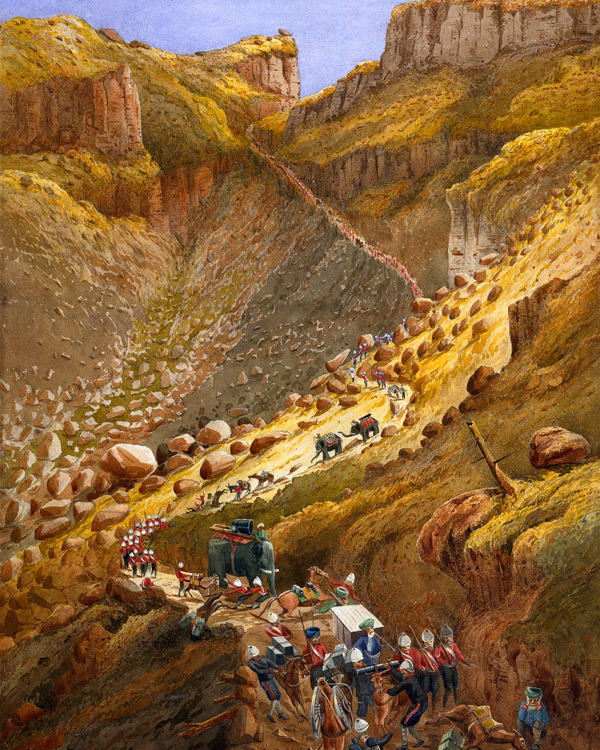 The 1868 expedition to Abyssinia (modern day Ethiopia) was one of the British Army's most ambitious and expensive campaigns. It demonstrated the enormous power of Britain in this era; no other nation could have considered such an expedition, let alone have successfully carried it out. From 1855, Abyssinia had been ruled by Tewodros II (or Theodore), a Coptic Christian ruler. He had established his rule through war, defeating his rivals, but he also continued to face many internal rebellions as he tried to enforce his rule. In 1862 he had asked the British Government for an alliance and assistance in acquiring the latest weapons and tactical experts to help him, as a Christian ruler, in his wars with his mostly Muslim neighbours. But his request went unanswered. The following year, enraged by the Foreign Office’s failure to reply, he seized a number of European hostages. 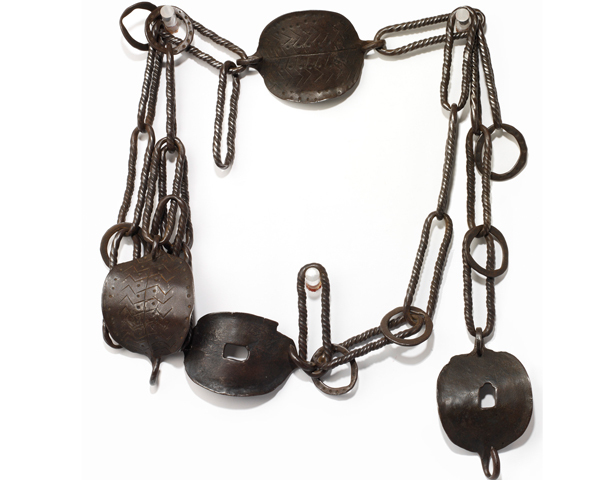 Among them was the British Consul, Captain Charles Cameron, who was kept in chains for over two years. The hostages’ conditions of captivity varied greatly as the unstable Theodore tended to treat them alternately with kindness and cruelty according to his mood. Captain Cameron wrote to the British press describing what was happening. This, and the fact that British women and children were numbered amongst the hostages, created a public outcry that forced the government into a response. Initial diplomatic negotiations and numerous gifts failed to secure their release. By June 1867, in the face of mounting public indignation, the British reluctantly concluded that military intervention was necessary. As a response was planned, it was made clear that this was not simply a mission of conquest. Once the hostages were freed and Theodore punished, the military force was to withdraw. There was never any intention of adding Abyssinia to the Empire. Instead of sending soldiers from Britain, the force despatched was drawn from the Bengal and Bombay Armies - usually used to maintain British control in India. It was therefore made up of both British regiments serving in India and locally-recruited Indian soldiers. The army was commanded by Lieutenant-General Sir Robert Napier, a Royal Engineer. It was the first time that an engineer had commanded an expedition. Napier's army was loaded on to ships in Bombay. 13,000 soldiers were sent along with 40,000 animals, including 44 elephants trained to pull the big artillery guns. 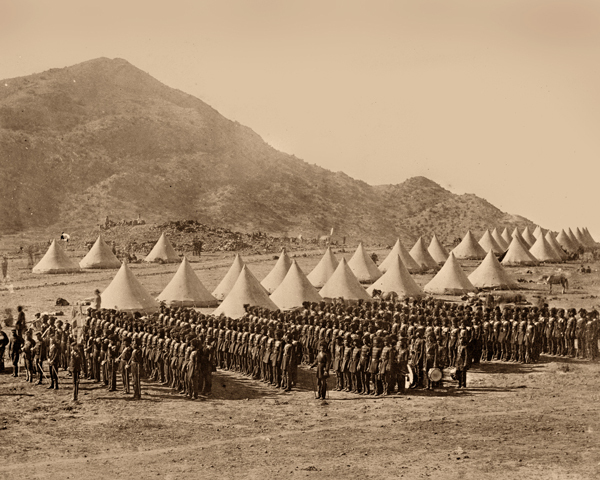 The troops sailed from Bombay on 21 December 1867 and crossed the Arabian Sea, before navigating the Red Sea to the Gulf of Zula, in modern day Eritrea. They established a base camp, from where they would march inland. Napier’s ability to overcome the logistical challenges that faced his soldiers was essential in the campaign. From the very beginning, supplies had to be moved from India to the landing area at Zula on the coast. Once they had been consolidated there, the British forces would have to cross 400 miles of mountainous terrain in inhospitable weather conditions to reach Theodore’s fortress at Magdala. As an engineer, Napier had a keen appreciation of the difficulties this posed. To reach Magdala, Napier used many technical innovations to keep the army moving and supplied, including the telegraph and desalination plants to turn sea water into fresh water. A harbour was built with piers and warehouses to help unload and store supplies. Twenty miles of railway line were laid, complete with locomotives brought from India. The Royal Engineers built a road into the interior of the country to help the army move quicker. Speed was a factor, as the campaign needed to be completed before the torrential June rains made the already challenging terrain utterly impassable. The advance began on 26 January, and was combined with diplomatic efforts, as the British secured agreements with Theodore’s enemies to cross their territory without encountering armed opposition. This would also protect lines of communication and supply. Napier's diplomacy ensured that the British were able to march freely across northern Abyssinia, but it still took over two months to reach Magdala. Theodore’s capital was built on top of a volcanic plug that towered over the local landscape. But before the British could assault it they needed to cross the plateau of Arogye. Theodore’s army, including 30 artillery pieces, was encamped around it in defensive positions, which the British would have to battle through. 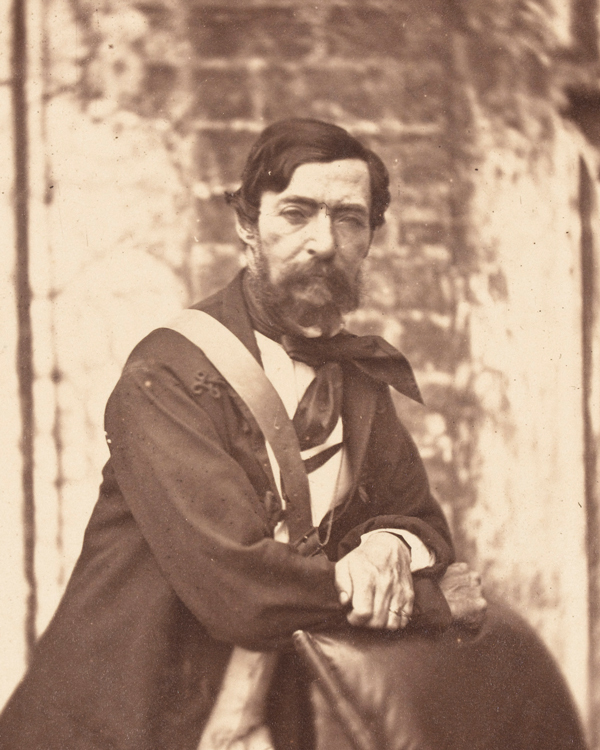 On 10 April Theodore ordered his army to attack, rather than hold their positions, in an effort to seize the initiative. They were ill-equipped, and the British and Indian soldiers drove them back into Magdala. The battle lasted just 90 minutes. More than 500 Abyssinians were killed and thousands more wounded. The British suffered a mere handful of injuries. The following day, the British moved to attack Magdala. Theodore released all his European hostages over the next two days and murdered the others he was holding, but refused to surrender. 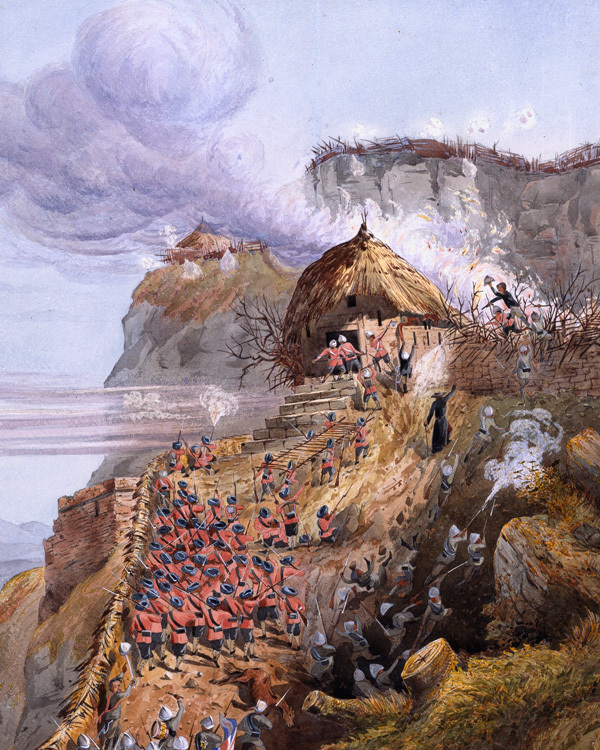 On 13 April, the British attacked the fortress. An artillery bombardment covered the advance up the narrow route to the entrance. Once there, the British rushed the outer and inner gates under fire. As the British moved into the fortress they discovered the body of Theodore just inside the second gate. Rather than be captured, he had committed suicide with a pistol that had been a gift from Queen Victoria. As news of his death spread, all resistance from the defenders came to an end. 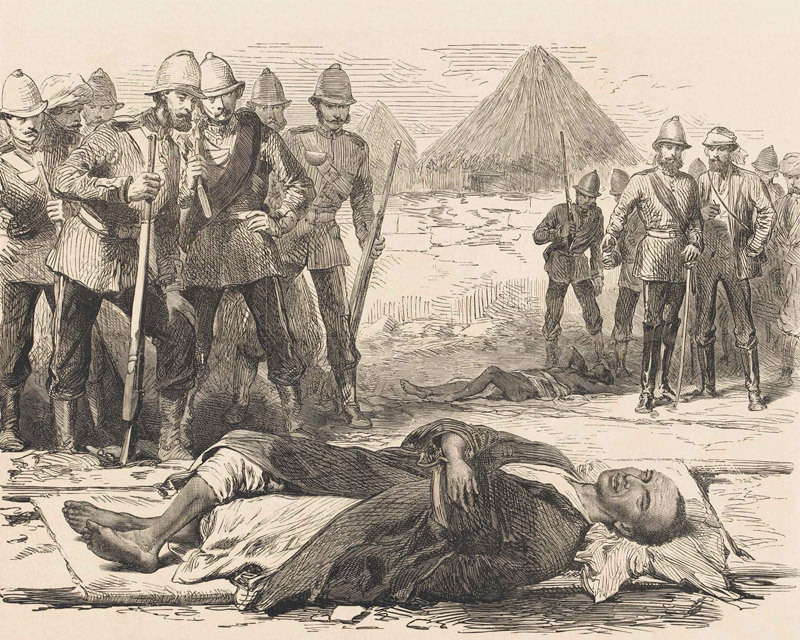 Napier's Anglo-Indian army had won, and the campaign had cost just 18 wounded and two killed. No accurate record of how many Abyssinian casualties were sustained was taken. Napier destroyed Theodore’s artillery and the fortress, but not before allowing his troops to pillage Magdala. An enormous auction of loot was then held. 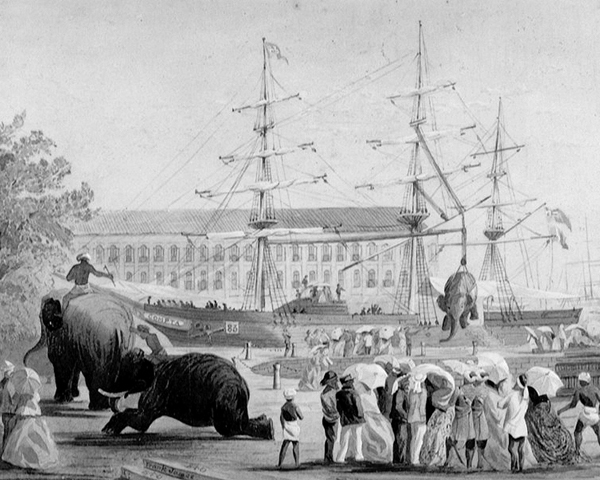 It took 15 elephants and nearly 200 mules to carry it back to the coast. During the long march to the coast Napier's men faced small attacks from various tribes. For those allies that had granted free passage, however, gifts were made of weaponry. Napier reached Zula on 2 June, and his troops soon dismantled the base camp, eroding virtually all trace of their presence. On 10 June Napier sailed for Britain. 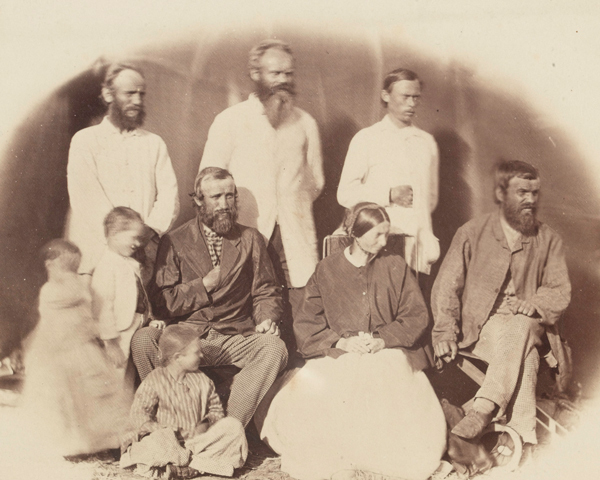 The expedition was hailed as a success by a British public that had demanded action. Napier was made Baron Napier of Magdala by Queen Victoria. 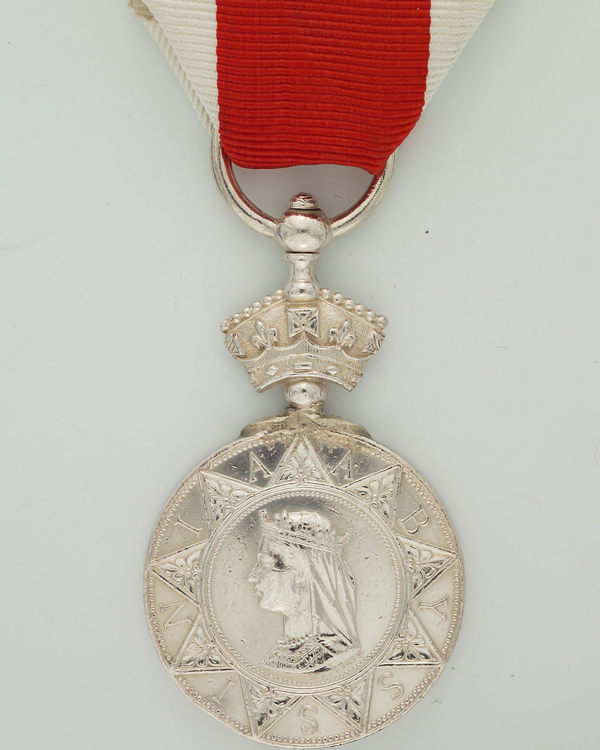 The soldiers who took part were awarded the Abyssinian War Medal and the battle honour ‘Abyssinia’ was granted to the regiments involved. In 1839 British forces fought a war on behalf of drug traffickers. The victory they secured opened up the lucrative China trade to British merchants.